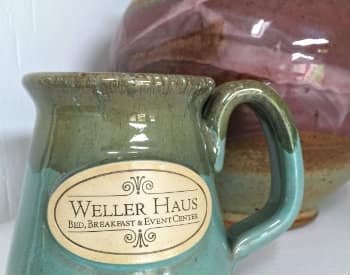 If you’re looking to purchase a memory item from your stay at the Weller Haus Bed, Breakfast & Event Center or a surprise gift for someone else, we offer a variety of items available for sale in our gift shop. Our mugs are handmade by a Wisconsin artisan at Sunset Hill Stoneware in their environmentally-friendly facility utilizing green initiatives. A favorite of our customers and available to use at your in-room coffee station, we offer mugs in a variety of sizes, shapes, and colors. Colorful and casual wrist bling. 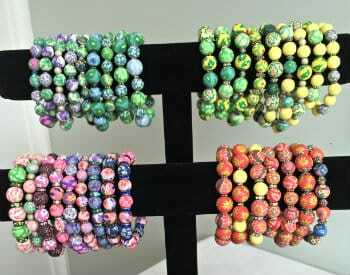 These fun polymer clay bead bracelets are handmade and available in multiple colors and patterns. They are stretchy, one-size-fits-all, and look great when worn as multiples or combined with other bracelets. Color and style selection varies. We do have the capability of providing these bracelets in colors to represent your school or special events with advance notice. Minimum order requirements and lead time required, discounts offered based on quantity ordered. Contact us for more details. 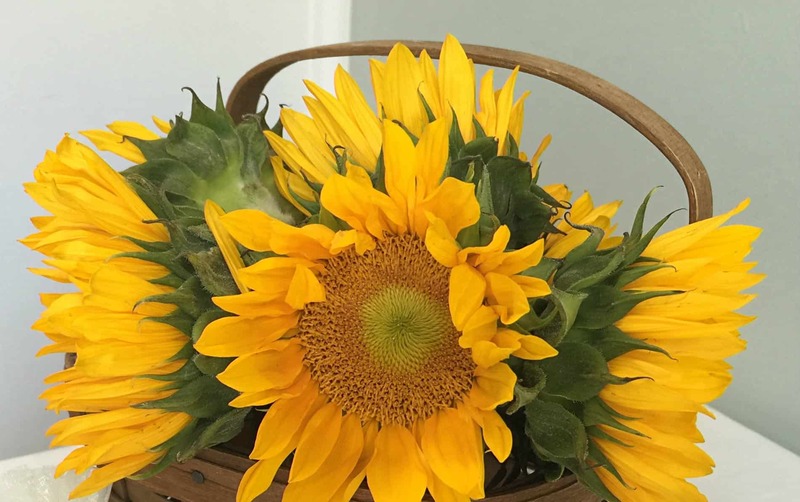 Looking for something sweet to indulge in during your stay or to take home with you? The Weller Haus Baking Bar offers a limited selection of baked items available for purchase during your stay. Or, with a pre-order of at least 72 hours in advance, you can take items home with you. 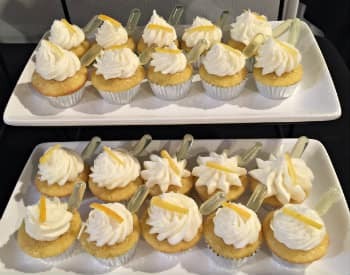 Our specialty is alcohol-infused mini-cupcakes, but we also offer other sweets, such as our decadent chocolate chip or snickerdoodle cookies and mini pies. Who doesn’t love caramel…and especially salted caramel! Typically a seasonal item and offered in the fall, this salted caramel is offered in 4oz. and 8oz. 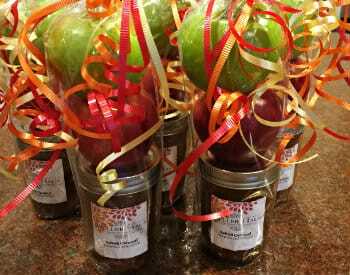 jars and is amazing on fresh crunchy apples, cheesecake, pies, and ice cream. During the off-season, we can have it available for you upon check-out with at least 48 hours’ notice and a minimum order of three 8oz. jars. A favorite of our customers, these glycerin soaps are provided as part of our in-room amenities tray and we now offer them for sale. 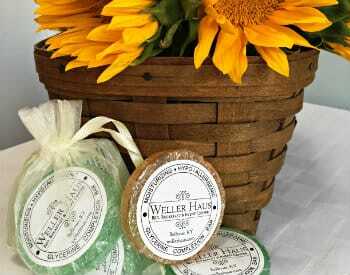 Glycerin soaps are hypo-allergenic, vegetable-based, moisturizing, and formulated for mildness. With a lower pH (8.0 to 8.5) than standard soaps, your skin’s natural pH balance will not be disturbed and your skin will not be left with that tight feeling. Choose 3 soaps from 16 scents, including wineberry, peach, pineapple, cucumber, mountain rain, jasmine, hibiscus, and a variety of others. Presented in an organza bag.